Today is December 21, 2011. A host of Web sites, books, and breathless cable documentaries are speculating that the world will come to an end a year from now, on December 21, 2012. Should you be concerned? Short answer: No. Keep calm and carry on. Long answer: Only if you were concerned when Harold Camping predicted the Rapture a few months ago, in May. Or if you worried when Nancy Lieder predicted the rogue (and non-existent) planet Nibiru would collide with us on May 27, 2003. Or if you stocked up on bottled water and weaponry when half of humanity thought doomsday would arrive on January 1, 2000. Or if you panicked when mathematician Jakob Bernoulli concluded the Earth would be destroyed by a comet on May 19, 1719, in which case you’re very old. Which is to say: We’ve been here before. We humans, regardless of our religious persuasion, are obsessed with figuring out when we’re going to die. From famed pastors and authors to obscure conspiracy theorists who are a few nuts short of a fruitcake, one of us is always predicting the end of the world. These doomsayers have been wrong every time. Every. Single. Time. Over the next twelve months, you’ll be bombarded with media touting a planet-altering event scheduled for the Winter Solstice in 2012. A handful of the predictions are positive, speculating we’re in for some sort of gauzy cosmic enlightenment. But most predictions are less cheery. Depending on the source, we should expect an asteroid collision, a comet collision, a planetary collision, a nuclear Armageddon, a biblical Armageddon (the final battle between good and evil), an alien invasion, an exploding supervolcano, an apocalyptic galactic alignment, an outburst of deadly solar flares, a sudden geomagnetic reversal, and/or a deadly supernova on December 21, 2012. Why that date? Why should we expect the extinction of humanity next December? It’s pretty complicated for a blog post, but I’ll give it a shot. First, it requires putting a lot of stock in the mythology, cosmology, and astronomical prowess of the ancient Mayans, especially their calendric system. 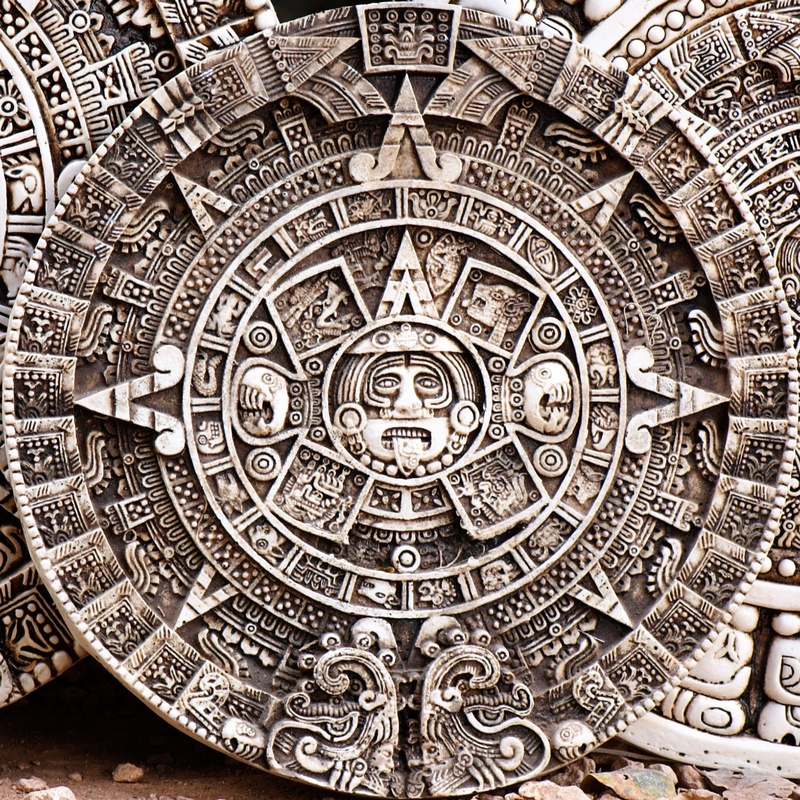 They used several calendars, but their biggest and most important one is known as the Mesoamerican Long Count Calendar. Just like our calendars keep track of days, weeks, months and years, the Long Count tracks several different intervals of time. The largest is a b’ak’tun, which equates to around 144,000 days. Most Mayanist experts–but by no means all–date the beginning of the Long Count back to August 11, 3114 BC, which means the calendar will complete the 13th B’ak’tun on December 21, 2012. Why is this milestone significant? Because that’s how long the previous, unsuccessful world was thought to have lasted. Maybe you’ve heard that the Mayan calendar is coming to an end. That’s no more accurate than saying your car will come to an end when it passes 99,999.9 on the odometer. Just like our calendars, when the Long Count completes an interval it rolls over and starts counting again. The “end” doesn’t matter. What matters is that the previous world was believed to have lasted only so long…and our current world reaches that lifespan in 2012. So if you–like the ancient Mayans–believe we’re living in the fourth incarnation of creation, and that the third world was destroyed upon completing the 13th B’ak’tun, and that this world will only last as long as its predecessor…then by all means you should be concerned about the world coming to an end in 2012. Please, people, make this year count. Live like you’re dyin’, etc. But if you don’t buy into that stuff, don’t concern yourself with the world ending a year from today. It’s a meaningless date. We’re probably going to make it to 2013. Make the next year count, anyway. It’s just good practice.